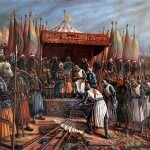 Saladin – Muslim Museum UK – Uncover the 1400 year relationship between Britain and Islam. Explore the history and heritage of Muslims in Britain. Ṣalāḥ ad-Dīn Yūsuf ibn Ayyūb, better known in the Western world as Saladin, was the first Sultan of Egypt and Syria and the founder of the Ayyubid dynasty. 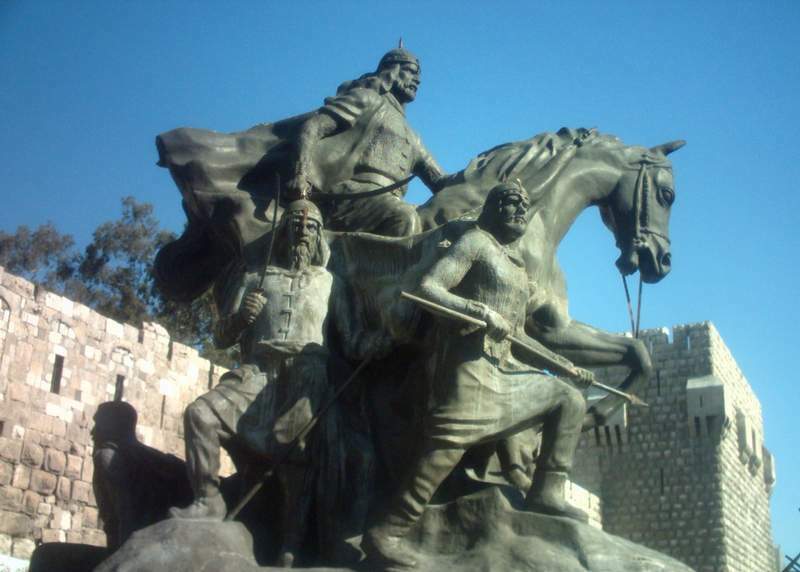 A Muslim of Kurdish origin, Saladin led the Muslim opposition against the European Crusaders in the Levant. At the height of his power, his sultanate included Egypt, Syria, Mesopotamia, Hejaz, Yemen, and other parts of North Africa. He is most famously remembered for the recapture of Jerusalem on 2nd Oct 1187. 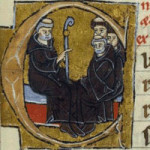 The fall of Jerusalem prompted the Third Crusade (1189–1192), financed in England. Richard I of England (Richard the Lionheart) led the crusade.